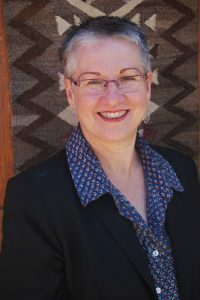 Professor Sandra Liebenberg (BA LLB (UCT); LLM (Essex); LLD (Witwatersrand)) is the H.F. Oppenheimer Chair in Human Rights Law and Distinguished Professor in the Faculty of Law, University of Stellenbosch. She is also Co-Director of the Faculty’s Socio-Economic Rights and Administrative Justice Research Project (SERAJ). She previously served as Chair of the Technical Committee advising the Constitutional Assembly on the drafting of the Bill of Rights in the 1996 Constitution of South Africa. She serves on the editorial boards of a number of human rights law journals in South Africa and abroad as well as on the board of directors of a number of national and international NGOs active in the field of socio-economic rights. She has been involved in supporting public interest litigation and advocacy in the area of socio- economic rights for a number of years. She has published widely in the field of socio-economic rights, and is the author of the monograph, Socio-Economic Rights: Adjudication under a Transformative Constitution (2010, Juta & Co) and co-editor of Law and Poverty: Perspectives from South Africa and Beyond (Juta & Co, 2011). In December 2014, she received the University of Stellenbosch’s top accolade, a Chancellor’s Award, for her contribution to community service in the field of law in South Africa. In 2016, she was elected as a member of the United Nations Committee on Economic, Social and Cultural Rights, the body which supervises compliance by States Parties with their obligations under the International Covenant on Economic, Social and Cultural Rights (1966). Professor Sandra Liebenberg’s CV is available here. Professor Liebenberg’s representative publications are available here. Socio-Economic Rights & Administrative Justice Research Group | Powered by Mantra & WordPress.